Certain adjudicated youth will be temporarily barred from possessing firearms under a bill passed by the Legislature April 11. 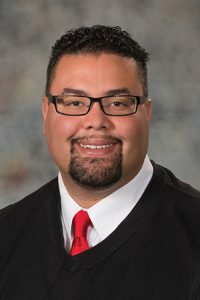 Under LB990, introduced by Omaha Sen. Justin Wayne, a person younger than 25 will be prohibited from possessing a firearm if they have been adjudicated in juvenile court of a misdemeanor domestic violence charge or any felony. A person who violates the bill’s provisions will be guilty of a Class IV felony, which carries a penalty of up to two years imprisonment with one year of post-release supervision, a $10,000 fine or both. Second and subsequent offenses are a Class IIIA felony, which carries a penalty of up to three years imprisonment and 18 months post-release supervision, a $10,000 fine or both. The prohibition does not apply to the possession of firearms by members of the U.S. Armed Forces, National Guard, Reserve Officers Training Corps, or law enforcement officers while on duty or during training. A person subject to the bill’s provisions can file for an exemption. The court will consider the person’s behavior following adjudication, their likelihood of recidivism and any other relevant information. When a petition initially is filed in juvenile court charging a juvenile with a misdemeanor domestic violence or felony charge, the court will be required to inform the juvenile of the specific legal impact on the juvenile’s rights to possess a firearm. The bill passed on a 41-0 vote.